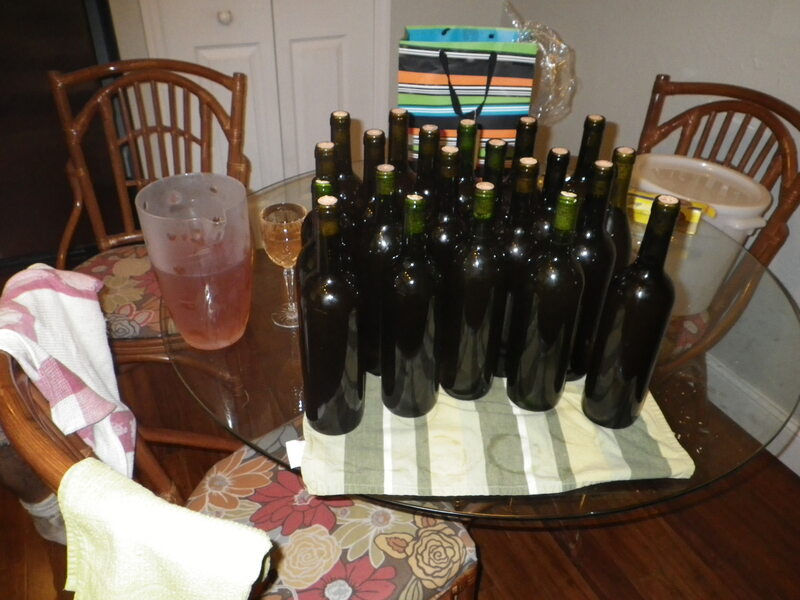 By popular demand, here’s the recipe for oak leaf wine with a few pictures of the process. That’s right, I said Oak Leaf. Wine from America’s National Tree. When Clay heard we could make wine from leaves, he actually got angry. He’s spent decades playing the chump, buying wine from the store, fancy-schmancy vintners dictating taste. Well, no longer! Read and liberate yourself! Well, maybe that’s a bit militant, but making wine from something that is so abundant (and free) is empowering. Bonus: it’s loads of fun and very tasty. Here’s a recipe I adapted from one I found on the Jack Keller’s quintessential wine making website which was first adapted from C.J.J. Berry’s 130 New Winemaking Recipes. This makes a one gallon recipe. You can scale this recipe up; anywhere from two to five gallons. Just keep the same ratio for the leaves, fruit and water. You can keep the same ratio for the sugar, too, but this makes a very sweet wine. When I made my 5-gallon batch, I left out approximately ½ pound of sugar from the ratio. You only need one packet of yeast for one to five gallons. I prefer Red Star Montrachet yeast. You can find this at your local winemaking store. 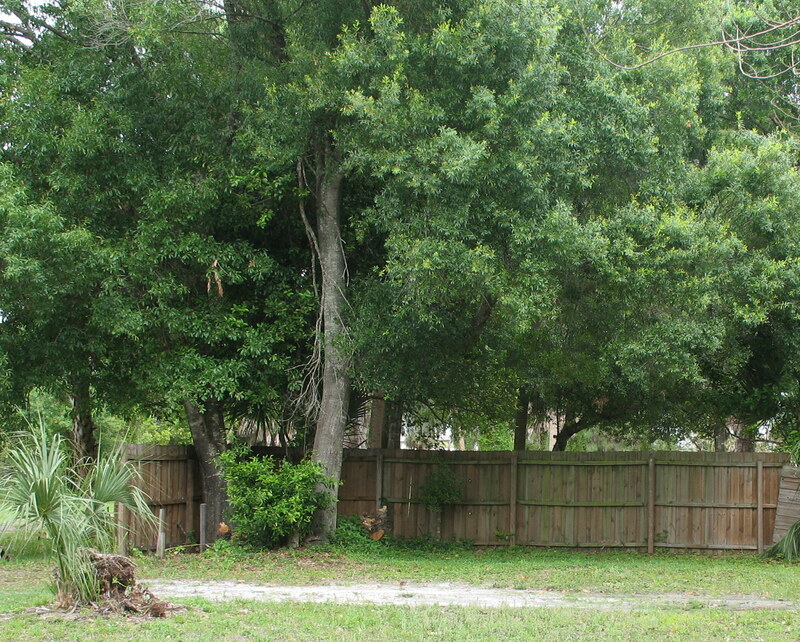 Pick enough green oak leaves (can be young or old, as long as they are not brown) to fill 7 pints. It doesn’t have to be exact, but err on the side of excess. 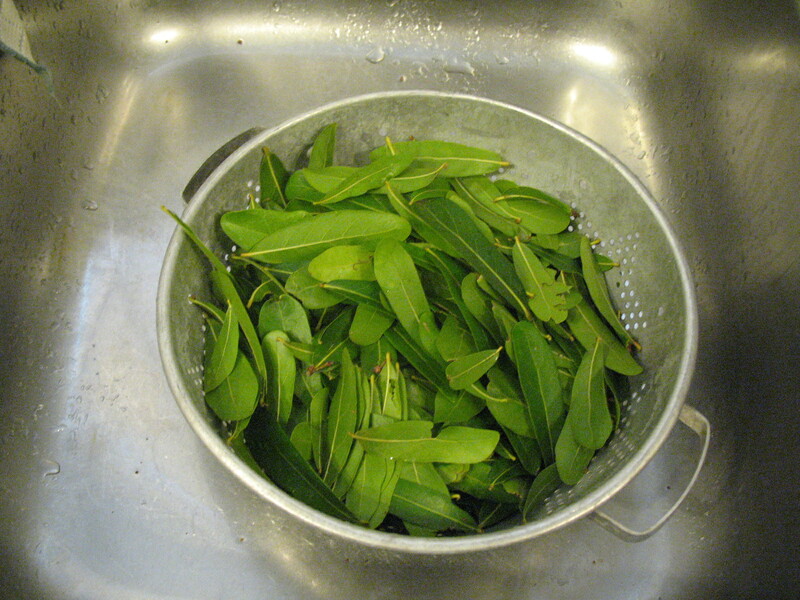 Wash the leaves in clean cold water, picking out any branches or debris and place in a crock or bucket. Bring 6 pints water to boil and pour over the leaves. Cover and allow to seep for 24 hours. Then smell it. I think this “tea” smells fabulous, a golden sunshine smell that will make you smile. Then strain the liquid into a pot large enough to take it and the sugar with a little room to spare.Add the sugar, the juice of the oranges and lemon, and their grated peel. Again, don’t worry about being exact, I am lazy about the grated peel adding only half to the mix. Stir well to dissolve sugar, bring to a boil, then simmer for 20 minutes. Allow to cool to 70 degrees F. This will take a long time for bigger batches, so don’t start the process at 6 p.m. (like I did). Strain through nylon sieve, and add remaining ingredients. Transfer to secondary fermentation vessel and fit fermentation trap. Do not top up with water, as the initial four or five days should produce a vigorous fermentation foam. When this has subsided, top up with water and continue fermentation until wine clears (2-3 months). Rack, then rack again after two months and bottle. Allow six months to one year. We call ours Wood Nymph Wine. I can’t tell you what properly aged oak leaf wine tastes like, as ours have not made it to the ripe old age of 1 year. It’s just too good. This entry was posted in Edible Landscaping. Bookmark the permalink. This looks lovely! How does your bottled wine taste? Also, what was the finished color? It is a fantastic golden color, though my first batch was more amber. It may depend on the type of oak and the time of year. I heartily recommend you try making a batch. Thanks! I have tried two batches, one from red oak and one from white. 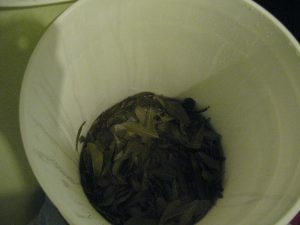 I soaked the leaves for three days, I then tasted the teas and found the white oak batch had a earthier sweeter taste. I’ll keep you posted. That is fantastic! I only steep the leaves for 24 hours, but I’m always tempted just to drink the tea because it smells so great. I’m excited to know someone else is interested in the process. Thanks for the update. Hi Liss, I’m now hooked and am off to gather the last of the viable oak leaves for one more batch. My other two batches are bubbling away. I’m also going to try some rose hip and apple wine as we have an abundance of both fruits in our area. Regarding the yeast question, do you use the whole package for one gallon or do you divide it? The packs of wine yeast and nutrient that I purchased were enough for four gallons so I divided both accordingly. This seems to be the gray area of most of the folk wine recipes I find, they just say to add yeast and nutrient no matter which quantity is being made. The oak leaf recipe that I used came from the book ‘Folk Wines’ by M.A. Jagendorf published in 1963 which is almost identical to yours with the exeption of steeping the leaves for three days instead of one. I normally use one packet of yeast per batch, regardless of size. And I kind of cheat with the nutrient, I usually just use a bit of apple or orange juice mixed with sugar. I think you’ll be fine to split it. I believe the rationale behind using a full packet is: you want the “good” yeast (meaning the kind in the packet) to thrive so the “bad” yeast (meaning any yeast lurking in the juice, bottle or air) won’t. Using the whole packet would up the odds. How much yeast and nutrient should I add for each gallon (in tsp’s)? Also, do you prefer red or white oak leaves? I would think white would be better or perhaps it doesn’t matter. Thanks for reading, and please let me how it turns out! Really liked what you had to say in your post, Oak Leaf Wine: A Tutorial | The Tropical Homestead, thanks for the good read!